Let's face it, us guys need a little help every now and then when it comes to skincare and grooming ideas. You don't always want to have to borrow your moisturizers and creams from your wife or girlfriend (not that that's the worst thing). 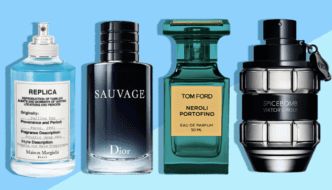 Whether you're looking for the best smelling cologne, the stiffest hair wax, the coolest body sprays, or the latest in shaving tips we've got your back. Browse through our favorite products and tools in the wild world of men's grooming and skincare. Ready to face off? Can You Really Buy the Best Creed Cologne For, Like, Cheap?